I absolutely love hand-printed stationary. A couple of months ago I was lucky enough to learn how to screen print whilst preparing some ultra minimalist card artwork for Via Design, and ever since my desire to fill a whole page with prints and colour has been thrown out the window in favor of pure, simple, minimalism. It's just good design. 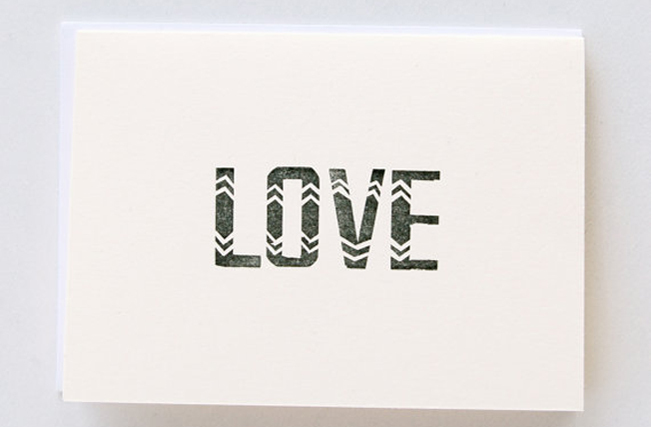 So my penchant for crisp lines, skinny typeface and, of course, ethnic patterns, led me to the website of San Francisco based letterpress printers, IN HAUS. 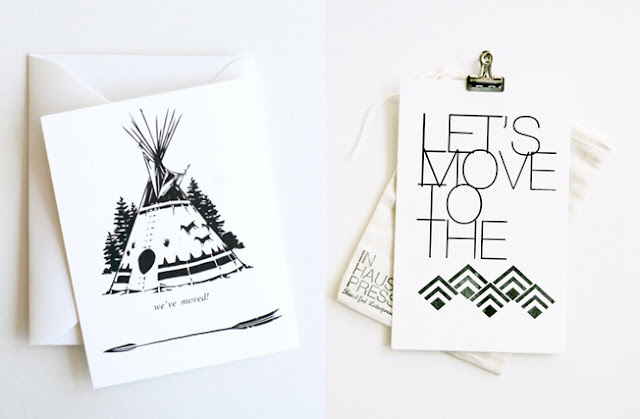 I first fell for their American Indian inspired aesthetics a few months ago on their Etsy shop and have been popping back ever since to check out the newest additions. 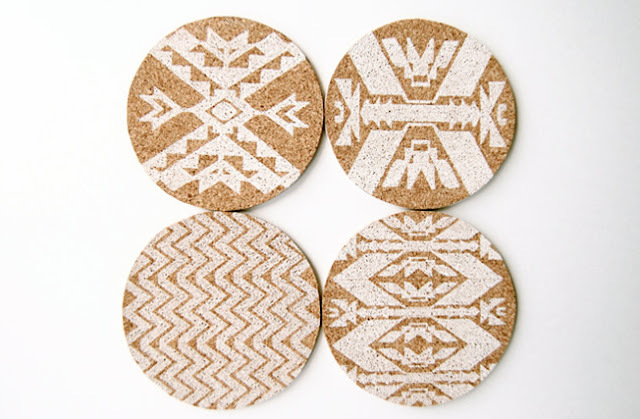 Some of my favorites include these awesome ethnic print table coasters and their quirky take on your average greetings cards like 'Lets move to the mountains' - why not?